When a country emerges from violent conflict, the management of the environment and natural resources has important implications for short-term peacebuilding and long-term stability, particularly if natural resources were a factor in the conflict, play a major role in the national economy, or broadly support livelihoods. Only recently, however, have the assessment, harnessing, and restoration of the natural resource base become essential components of postconflict peacebuilding. This book, by thirty-five authors, examines the experiences of more than twenty countries and territories in assessing post-conflict environmental damage and natural resource degradation and their implications for human health, livelihoods, and security. The book also illustrates how an understanding of both the risks and opportunities associated with natural resources can help decision makers manage natural resources in ways that create jobs, sustain livelihoods, and contribute to economic recovery and reconciliation, without creating new grievances or significant environmental degradation. Finally, the book offers lessons from the remediation of environmental hot spots, restoration of damaged ecosystems, and reconstruction of the environmental services and infrastructure necessary for a sustainable peace. 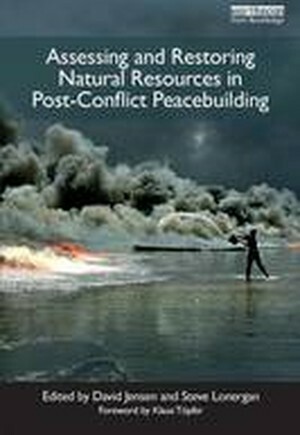 Assessing and Restoring Natural Resources in Post-Conflict Peacebuilding is part of a global initiative to identify and analyze lessons in post-conflict peacebuilding and natural resource management. The project has generated six books of case studies and analyses, with contributions by practitioners, policy makers, and researchers. Other books address highvalue resources, land, water, livelihoods, and governance.